At his first run for Ciaron Maher/David Eustace in the C.F. Orr Stakes, I really liked the way he attacked the line after being wide throughout. 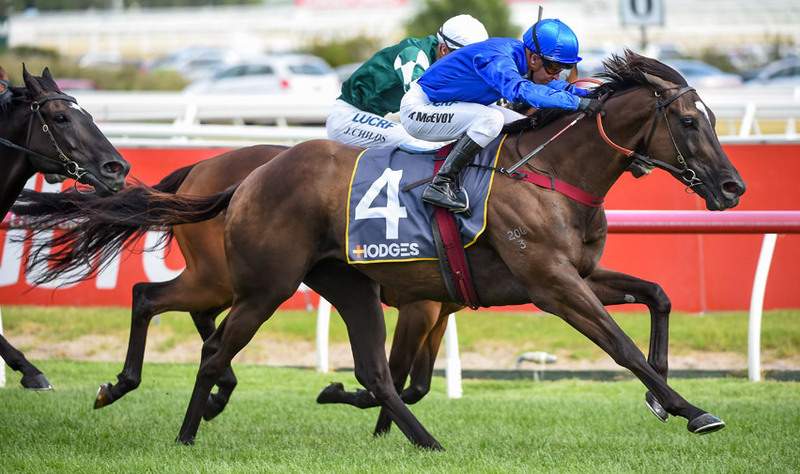 He clocked the second-fastest final 200m of the day and there’s another elite-level win in him, possibly in the Futurity Stakes on Saturday week. One of the leading hopes in the All-Star Mile, assuming he gets a run! Another top Godolphin juvenile. I was really taken with the way this filly chased in the straight in winning the Diamond Prelude for fillies. Only Nature Strip ran a faster final 800m on the day, and the fillies’ race rated much higher that the boys’ division. Looks a top chance in the Diamond on February 23. Class, class, class! It was a super return by this ultra-talented galloper, running +5L above the class average the final 600m, despite a fearsome speed. Now five from seven in Australia, we’ll see him next in the Peter Young Stakes at Caulfield on Saturday week, before he tackles next month’s Australian Cup, where he’ll take some beating. Hard to knock winning form, but I doubt he can win the Blue Diamond. His win in the prelude at the weekend didn’t rate highly and I’m prepared to risk him at 1200m in the Diamond. Saturday’s run in the Prelude was too bad to be true. The Snowden’s are geniuses, but it’s a long way back in the space of two weeks, so I can’t have her in the Diamond. He went hard in the Carlyon Cup and I doubt he handled Caulfield, but he hasn’t won for nearly a year now and his best looks to be well and truly behind him.